I’ve had such an incredibly amazing year that I almost can’t believe the amazingness is continuing right down to the end, but as I mentioned at the end of yesterday’s entry I’m currently writing this post from the not-quite-as-frigid-as-NC climate of the Sunshine State! 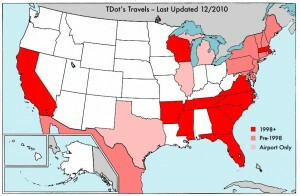 SC+GA+FL are now added to the list! But the wait was worth it! Florida seems very cool so far, our hotel is amazing, and I just ordered room service for the first time in my life (delicious!). Then tomorrow I’ll get to see a lot of my old friends from undergrad plus explore a new state plus enjoy the obligatory pre-game tailgating plus get to see some Wolfpack football! I’m not sure if I’ll have an entry here tomorrow night after the game, but if I get back to the hotel at a decent hour I’ll try to cobble something together. In either event, have a great night y’all! 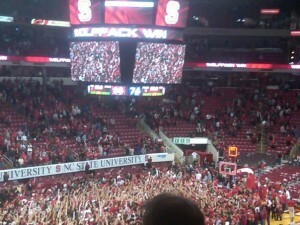 THE N.C. STATE WOLFPACK BEATS THE #16 FLORIDA STATE SEMINOLES AT HOME!!! The game was full of huge plays, including N.C. State going for the winning TD on 4th and goal with 2 minutes left in the 4th quarter, instead of just kicking a field goal to tie. 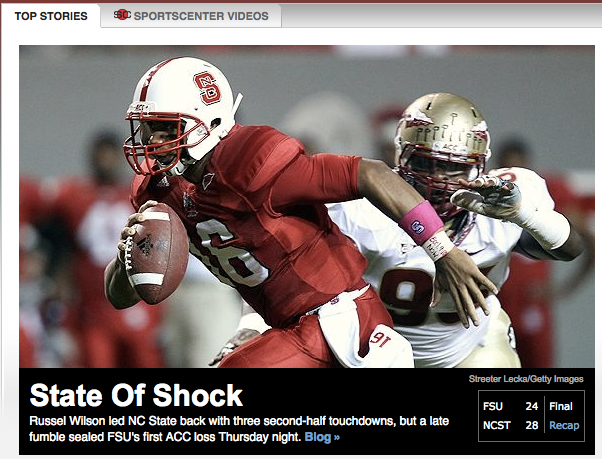 N.C. State, FSU and Maryland are now all tied at 1-loss apiece in the Atlantic Division. Aaaannnddd we’re now bowl-eligible @ 6-2 with 4 games remaining! Law-related entries will resume tomorrow, I’m off to celebrate! Have a great night y’all!! 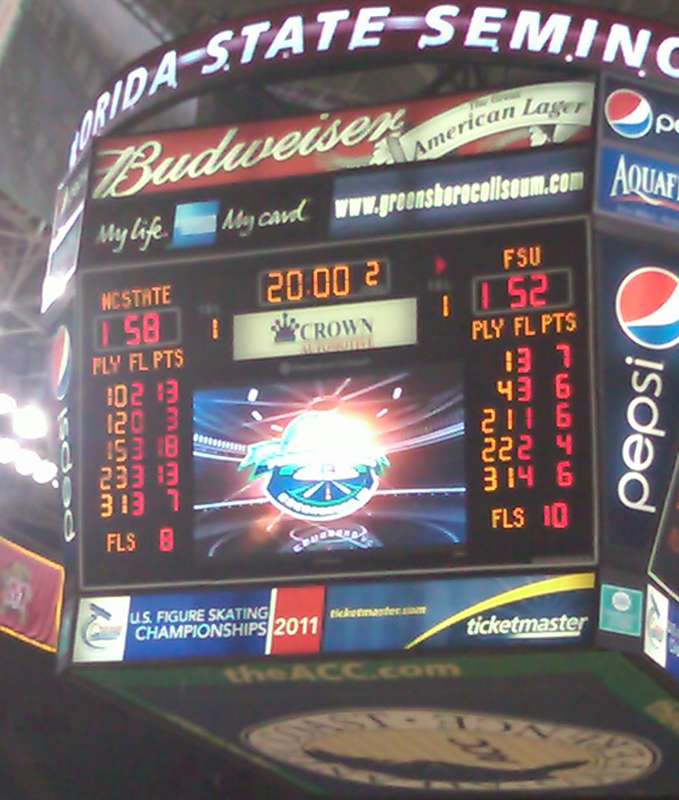 ACCT 2010: Duke wins it all; NCSU to NIT!! The Las Vegas odds-makers had it right — even in an ACC tournament where 6 of the first 8 games were upsets, the #1 seed Blue Devils of Duke University won the whole thing over the Georgia Tech Yellow Jackets. This gives Duke their 18th ACC championship, which I’m pretty sure is the most of any ACC school. The game was plagued by truly horrible officiating and botched calls for/against both teams. 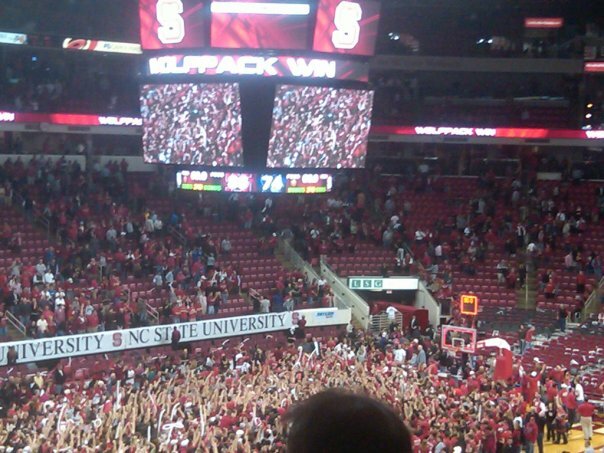 But the Wolfpack lost largely from falling back into old habits — scoring droughts, bad judgment calls, missed free throws. Heading to bed, then driving back to Greensboro for the final game tomorrow. Have a good night folks! ACCT 2010: Wolfpack wins Game 8!! Not saying every Seminole is a bad Seminole — at least one of my classmates here at NCCU Law is an FSU alum and he’s perfectly chill — but those folks were a less-than-optimal reflection of the University. That means out of the 8 games played so far in the tournament, 6 of them (75%) have been upset victories. It also means history will be made tomorrow by somebody: only 2 ACC teams in history have made it through 3 straight games to go from the prelims to the finals (NCSU in 1987 and NCSU in 2007), and with both GT and NCSU playing last night whichever team advances will become the 3rd. And had the lead for all but the first 5 minutes of the game!!! The last time we beat Duke was in the ACC tournament back in 2006, the first season since I had returned to NCSU. I’ll resume “for serious” posting tomorrow, promise Good night folks!